Vera Katz called me a week ago to give me the heads up on a reading she’s directing of a new work by Caleen Sinette Jennings. My ears immediately perked up. Caleen is a very talented playwright. I’ve shared the one-act festival stage with her at Source Theatre here in DC. There were those nights when I felt I was not worthy. I’ve come back for more of Caleen’s drama, even quoted from her characters. That’s when a playwright crosses over into sage. The new work is titled UNS; it’s structured into 4 one-acts. I gave Caleen a call for the 4-1-1. The prefix UN means, “not, removed, released, reversed”. UNDISCLOSED, UNMILKED, UNLEARNED and UNCOVERED, are four short plays about black women who are NOT responsible for their predicaments, and are REMOVED from the mainstream. Nevertheless, their energy is RELEASED. In the military, classroom, living room and in a post-Katrina backyard, they REVERSE the flow of power and triumph over their conditions. I told Caleen about the recent Yale study siting that high-achieving African American women are more likely to remain single and childless. 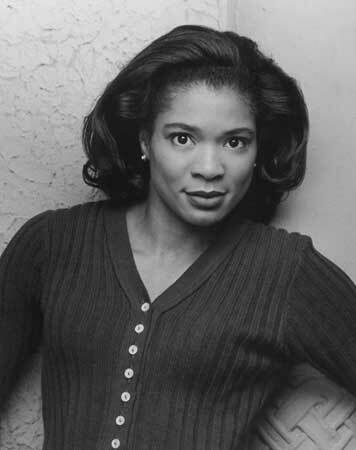 Michel Martin’s going to tackle that one on her NPR program “Tell Me More.” But if there’s any time to see a Caleen play, it’s after getting news like the Yale report. Apparently the UNS reading is part of a larger festival, Page-to-STAGE, now in its 8th year at the John F. Kennedy Center for the Performing Arts. (Where have I been??) The festival features 3 days of free readings and open rehearsals of plays and musicals in the development stages by local, regional, and national playwrights, librettists, and composers. Diedre Starnes (who was my dramatic reader for my first Big Read in 2007) will be reading for UNS. 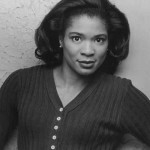 If there’s an actress you need to see here in Washington, DC, it’s Diedre. She’s wonderful. UNS will be read Monday, September 7 at 2 PM in the Terrace Gallery at the Kennedy Center. The presenting theater is the African Continuum Theatre Company. For more information, visit the Page-to-Stage Festival website here. The President did double time this week with his weekly address and the eulogy he delivered today at the funeral mass for Senator Edward Kennedy in Boston. It’s the 4th anniversary of the devistation that hurricaine Katrina unloaded on the Gulf Coast. Today, Michael Jackson would’ve turned 51, had he lived. Spike Lee threw him a party in Brooklyn without the guest of honor, of course. Michael in death will be for some, what “cash for clunkers” has been for car salesman. And as usual, in the end, the lawyers always win. I’m seeing floods and natural disasters becoming more of the norm than the exception. Pretty soon we’ll say they come in 3s. I wasn’t a big reader in my early years; but I could read. My parents read to me, my sister, even my older cousins. We got free books in school. I remember each of us got a set of Dr. Seuss books: Stop That Ball, One Fish, Two Fish, Three Fish, Green Eggs and Ham. We read them over and over. The rhyme and cadence not only made them fun to read, but easy to remember. We swapped Dr. Seuss books like bubble gum cards. Today, NPR ran a story about, or should I say eulogized, the end of the road for the PBS series “Reading Rainbow.” When I worked at PBS, I remember LeVar Burton always at the front of the line to testify on behalf of the value of reading, education, and public television. 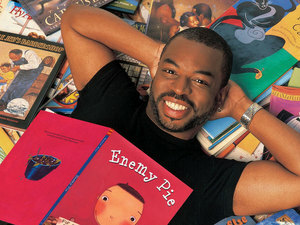 We loved LeVar and the “Reading Rainbow” theme heard through the halls always got you pumped up to go anywhere with him through the pages of a book. “Reading Rainbow” was unable to secure funding from the sources that have supported it for 26 years — PBS, CPB, the Department of Education. Every show eventually comes to an end. But based on this NPR story, “Reading Rainbow” isn’t making its exit under the “Mission Accomplished” banner. Why aren’t children ages 8 – 11 reading on a basic level in the richest country in the world? That’s not an unreasonable assumption. Why are we talking about reading as “luxurious space” as if it were a bourgeois sport of the leisure class. Like polo minus the horse? The late Fred Rogers (aka Mr. Rogers), that other PBS children’s icon once said, “children are caught, not taught.” That means the children are watching what we do and don’t do. “I don’t have to read it, or know what’s in it. I’m going to oppose it anyways.” So said Republican Senator Jim Inhole of Oklahoma referring to the Senate health care reform bill. What kind of example does he set as a lawmaker? Is this the only document he’s not reading when he’s voting yeah or nay? Can he read? Is the ability to read required to do his job? Should he be tested? I remember elders with no more than a 3rd or 5th grade education in Jim Crow schools could read an entire newspaper. Once I caught my aunt reading one of my grade school books trying to catch up. I can’t tell you how important it was to them to be able to read for comprehension. George’s recent novel, The Way Home, is one of 5 books President Obama has with him on vacation in Martha’s Vineyard. Sometimes it takes a village to read a book. If this man should fall, who will lift the flag and carry on…. I am not watching network or cable news (online) today. If needed, you can read the Boston Globe aritcle here. I’d rather remember in my own way and carry on the fight for health insurance reform. A priviate mass will take place at the Kennedy home in Hyannis Point at noon today for Senator Edward M. Kennedy. At 1 pm the family and Senator Kennedy will leave Hyannis Point by motorcade to Boston. Senator Kennedy will lie in repose in the John F. Kennedy Presidential Library. All memorial services and mass will be in Boston. He will be buried in Arlington Cemetery in Arlington, VA on Saturday. The motorcade route and a full schedule of public and private ceremonies is posted on this site – www.tedkennedy.org. I did take a look at one cable news clip. Vice President Joe Biden’s tribute to Senator Edward M. Kennedy. Because it’s pool footage and not commentary, I watched. Joe keeps it real. I remember my vice principle in high school patroling the halls snapping the order to “Get to Class!” Well that’s where school stops and life-learning starts. Last night I treated myself (i.e., stepped away from the laptop to engage in life), to a workshop reading of Anu Yadav’s Classlines, a series of monologues or stories on the topic of “class” and the places where class intersects with race, income, education, status, citizenship, even fashion. I learned something about khakis. Workshop is key to this reading. The play isn’t completed, and dare I call it drama or fiction. As I was listening to Amy Hendrick, I realized she was telling one of her own true life stories; not one collected from an interview. In her “Thug Life” monologue Amy describes a mugging that happened to her a few years ago while walking home from a get together with friends at a bar. I saw Amy at the point when most of her facial injuries had healed. But this was my first hearing of the horrible details of that night. It made me extremely sad….and angry. I didn’t care what the class or race issues were with the attacker; I was hatin’ on that dude in the moment for attacking my friend. I guess I took it personally. Amy reflects, connecting it to her own class and race issues. She’s white; the guy was black. What was he thinking? What did he see? A punching bag to get out that gentrification rage on an urban hipster? That’s not Amy. But did he know that? I needed to breath. Class holds a grudge. Over-simplified, Class is determined by who’s holding money and who isn’t, at least that’s how it appears to work in America. The best of us work for it and inherit it. I think of Edith Wharton’s “The Buccaneers” and how the broke-*ss British aristocracy of the late 19th century tried to pump their cash flow by marrying and getting dirty with the rich daughters of the American industrialists. Money still didn’t trump lineage. These DC stories grounded in a city that seems to be in flux along class lines, race lines, gender, occupation, and where they intersect and perhaps can cut you off at the knees. But it’s the lines that divide that is the pulse of Classlines. There are some who just step on and across the line like Rose Oliphant, who fought to be re-instated in her Carrollsburg/Capper community. 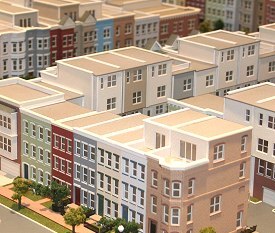 The public housing development was selected for conversion into a mixed-income development. Punctuate that with the new baseball stadium. Anu has worked with the Carrolsburg/Capper community before. Their relocation stories were the subjects of her one-woman show “Capers,” a few years back. Rose’s tells her story to the camera in a short doc produced by Elle Walton. There were points where Rose’s story resembled the post-Katrina stories of the 9th Ward. Rose does get a homecoming, and I love seeing her outside her new home with that big tea cup, though many of her neighbors decided to move on or out rather than make demands on promises unkept. Or as someone put it “Step up and stay.” Unfortunatley, many people have run out of energy after a lifetime of fighting and/or waiting. Workshop readings of Classlines are at Woolly Mammoth Theatre (641 D Street, NW) at 8 PM tonight and tomorrow, Wednesday, August 26. There is a $5 – $10 donation. For more information visit, www.classlines.net. More stories are welcomed. Written by Anu Yadav, Amy Hendrick, Ellie Walton, Rose Oliphant and Schuyler Cunningham. Note: Some stories contain some profanity and references to violence – more suitable for mature audiences.